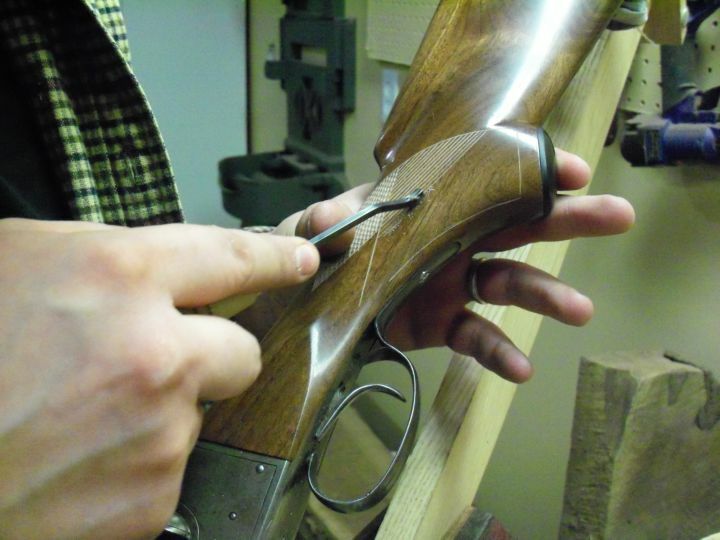 Checkering is the process of cutting a series of evenly spaced lines that intersect at a set angle. 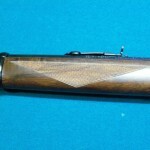 The spacing of the lines determines how fine the checkering is. 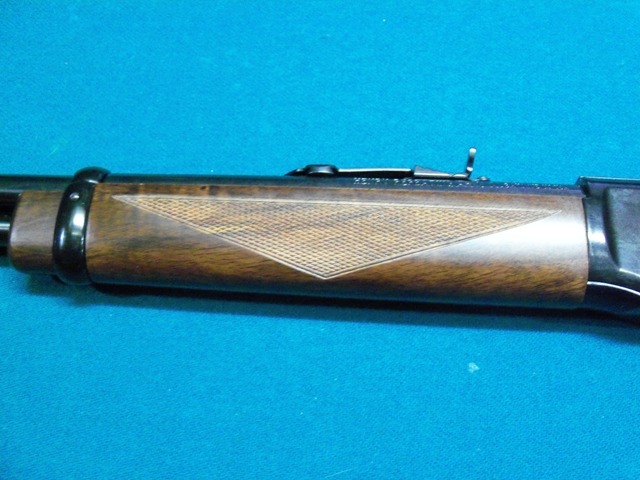 The depening of the lines results in a series of fully pointed diamonds, which add the finishing touch to any stock. 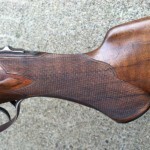 Original checkering can be touched up or completely recut. 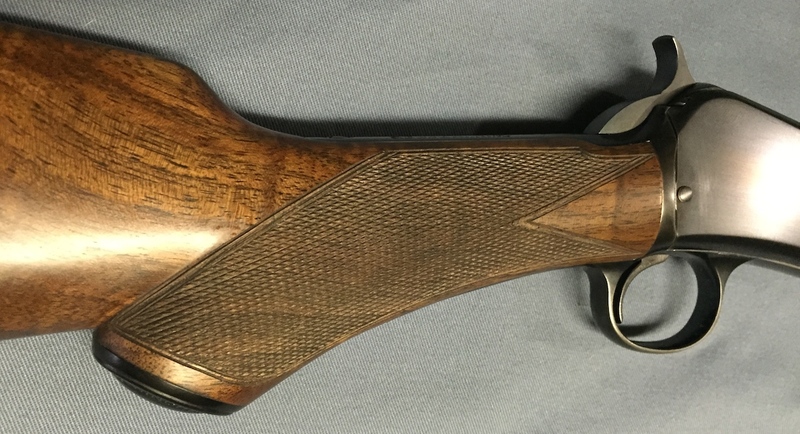 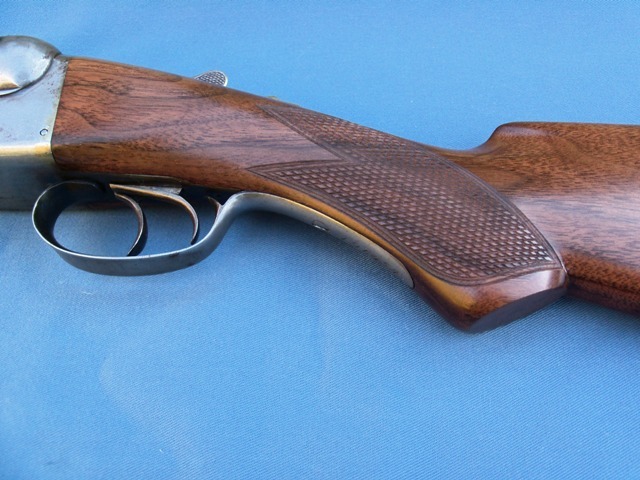 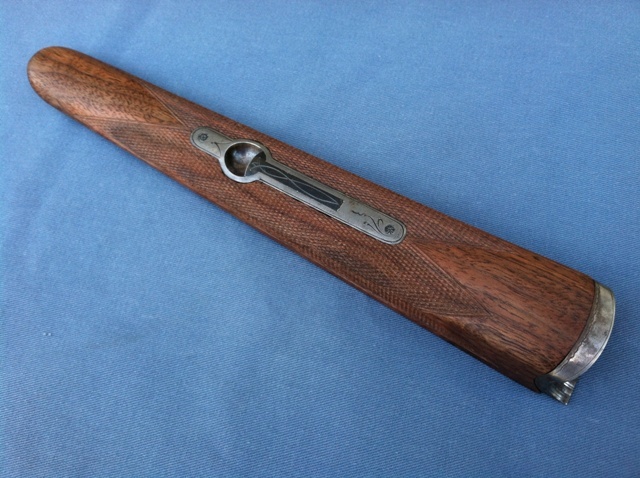 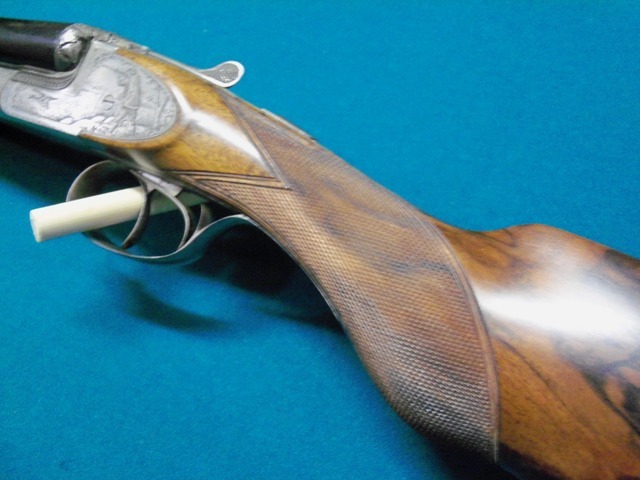 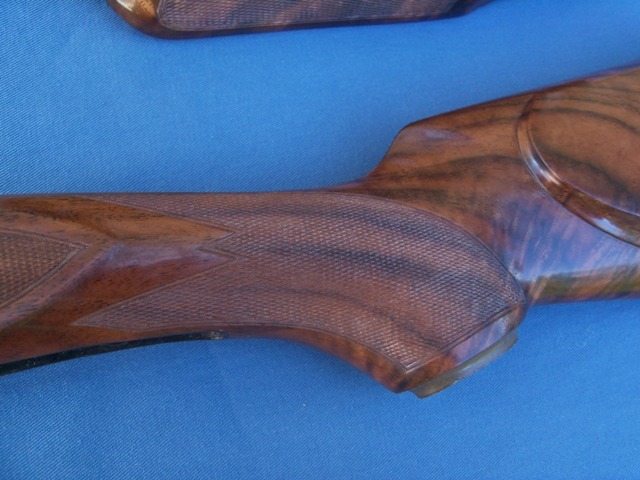 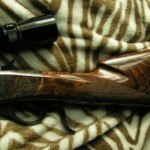 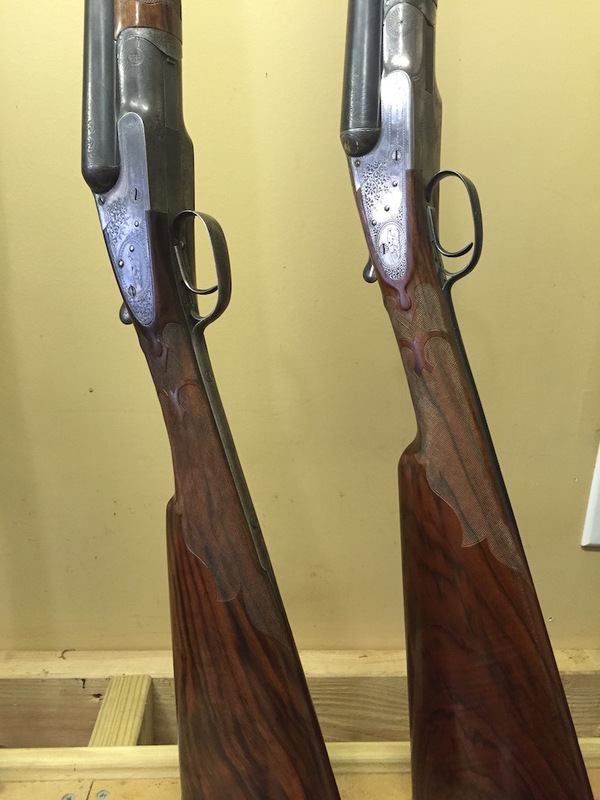 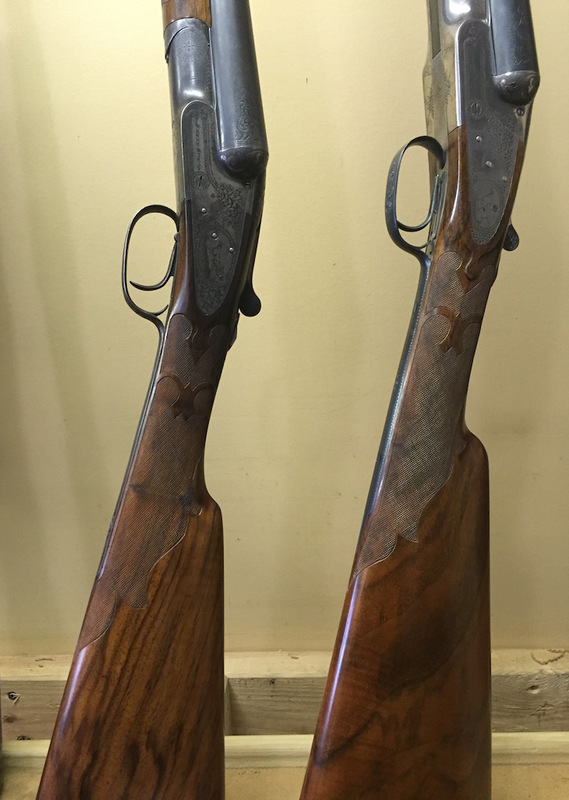 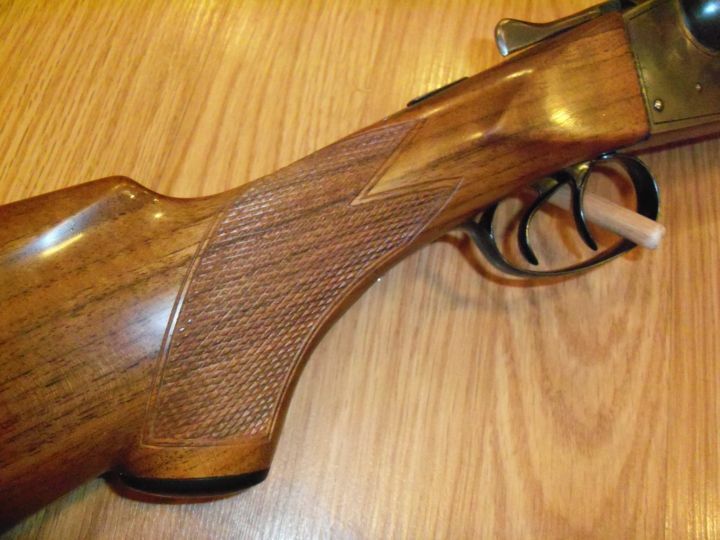 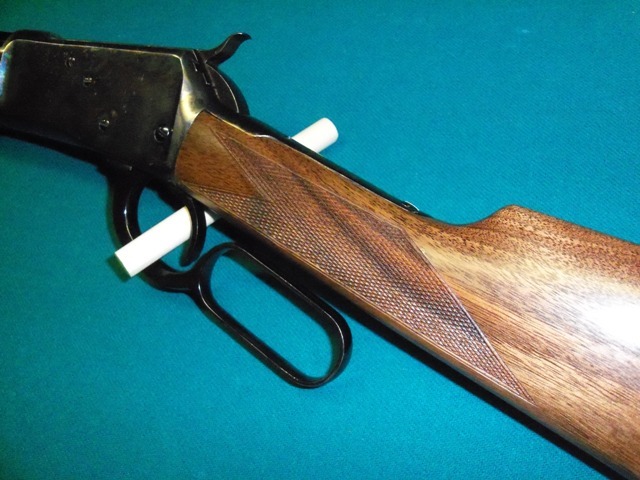 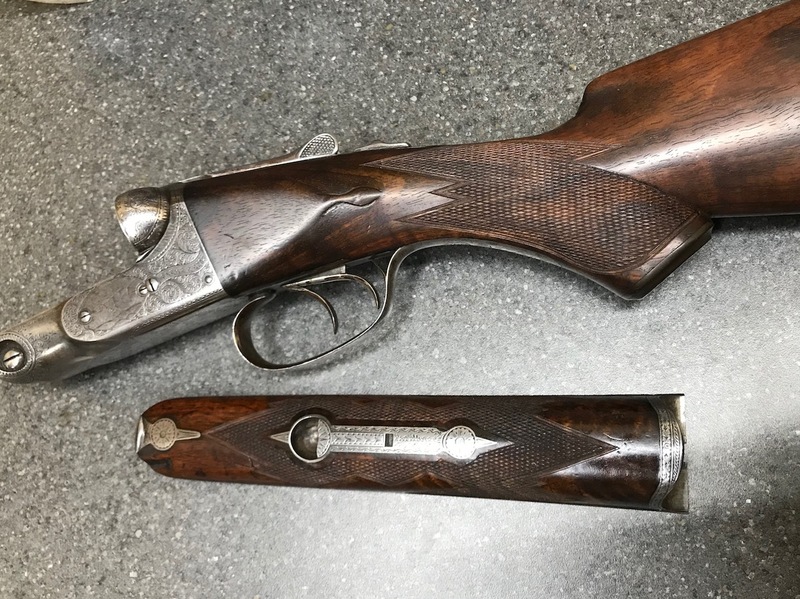 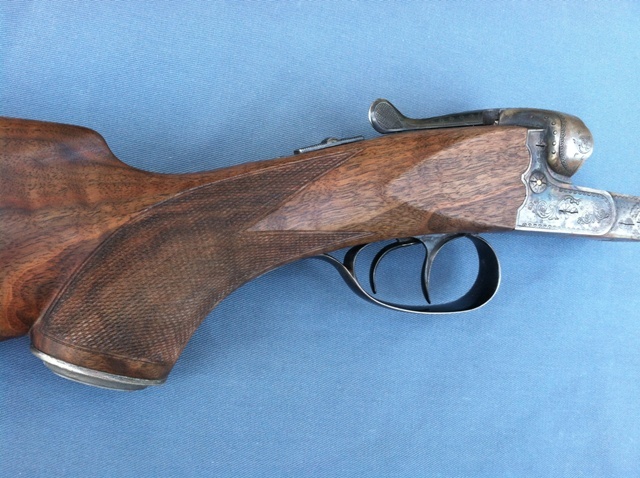 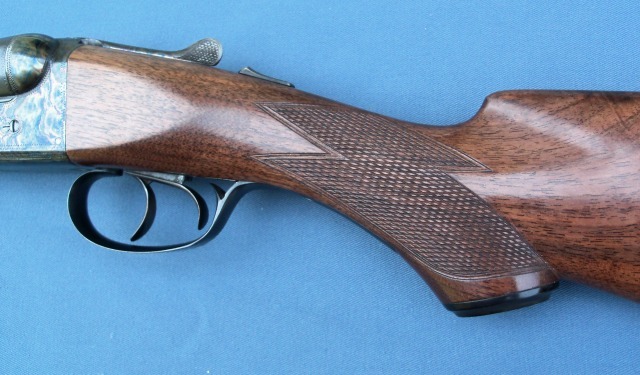 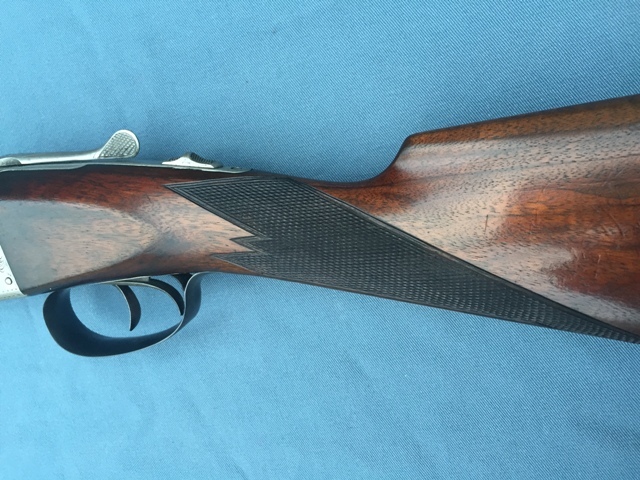 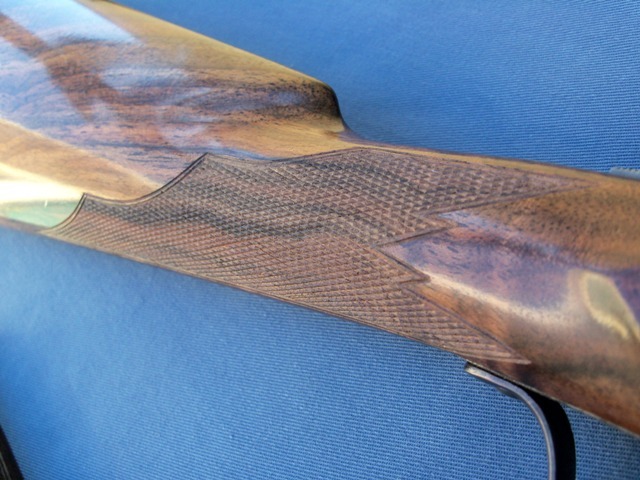 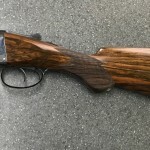 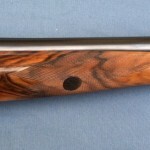 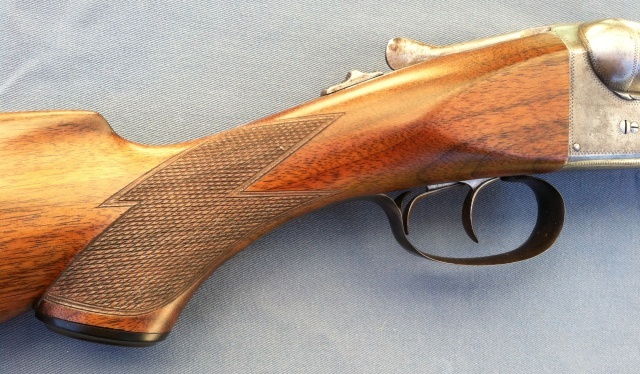 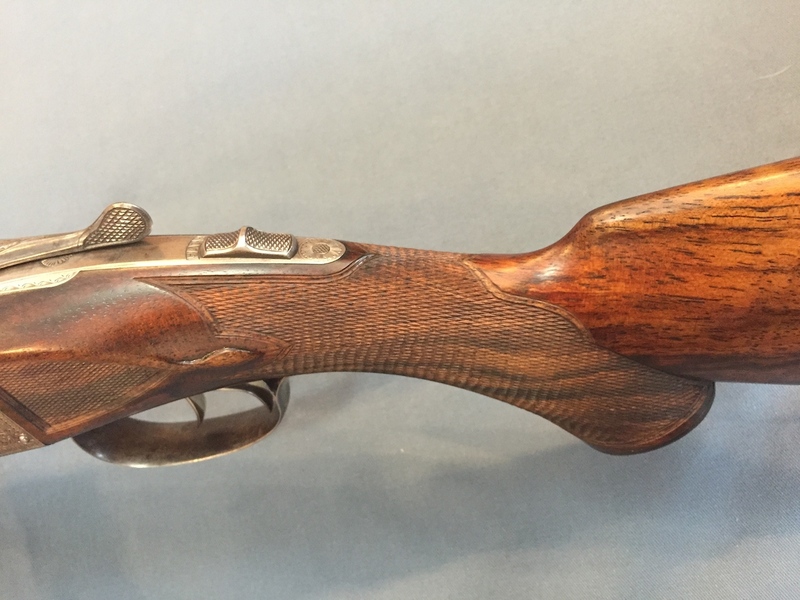 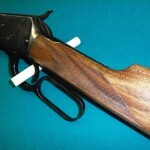 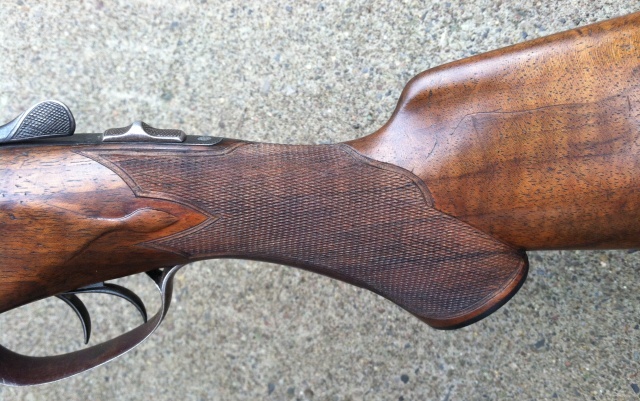 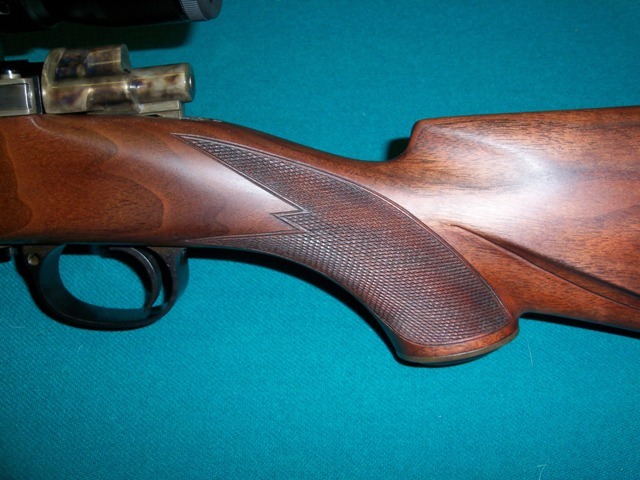 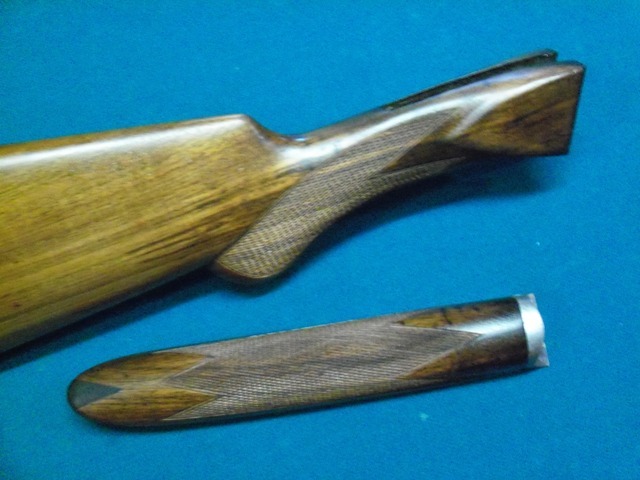 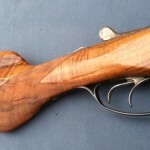 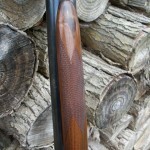 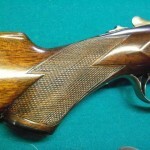 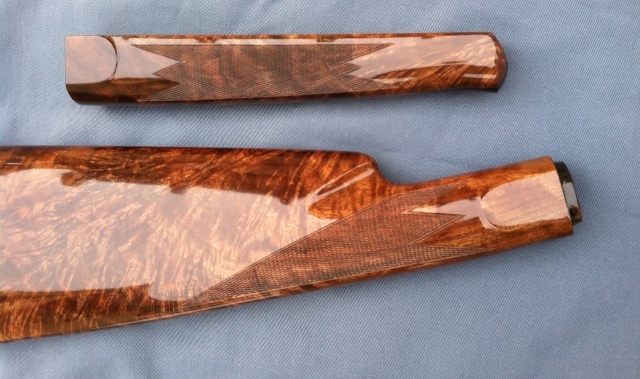 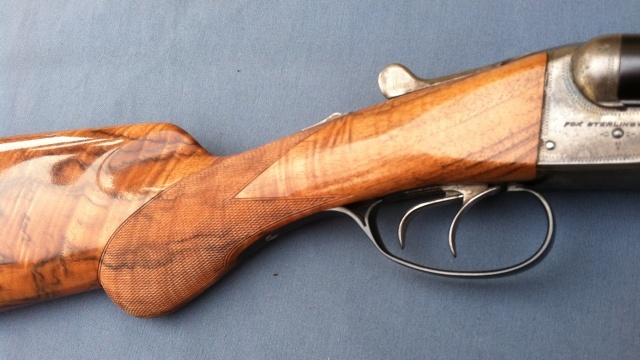 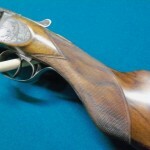 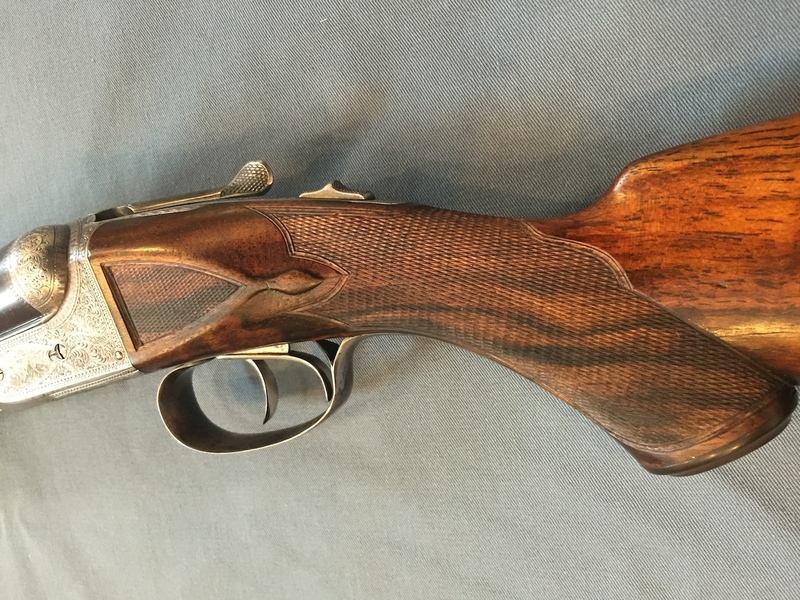 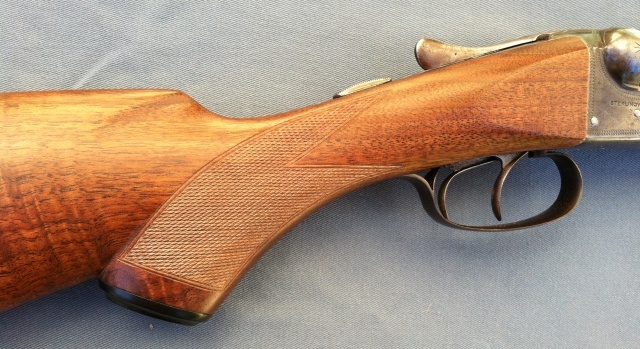 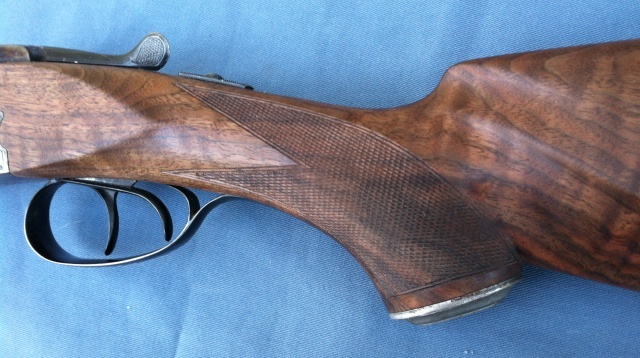 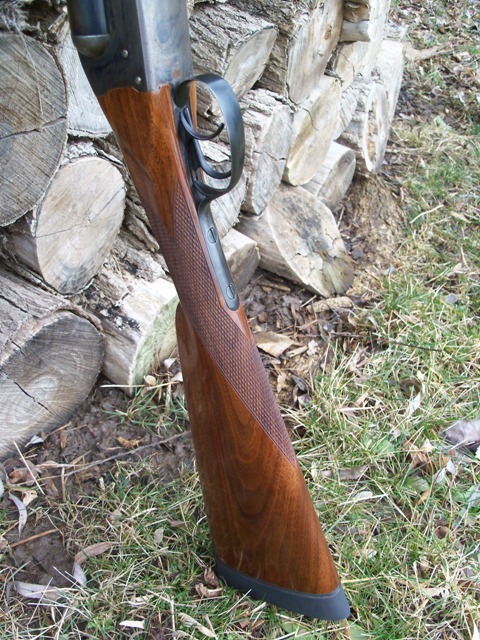 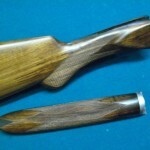 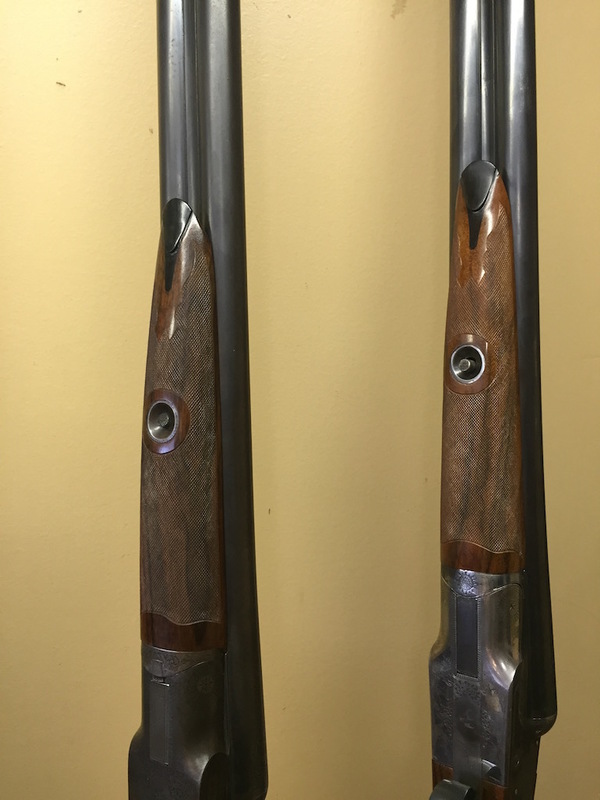 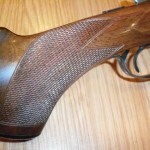 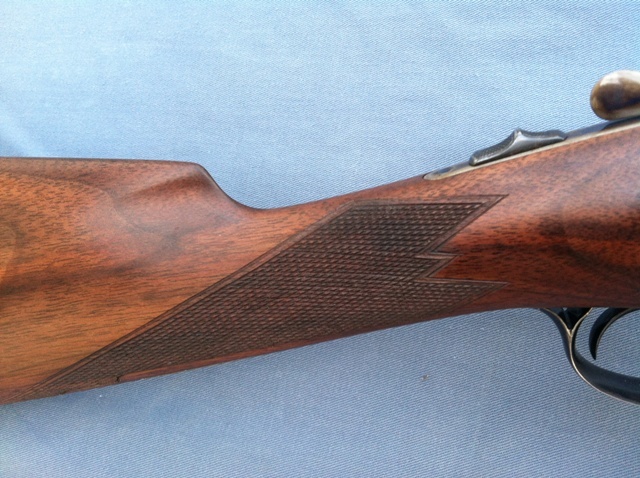 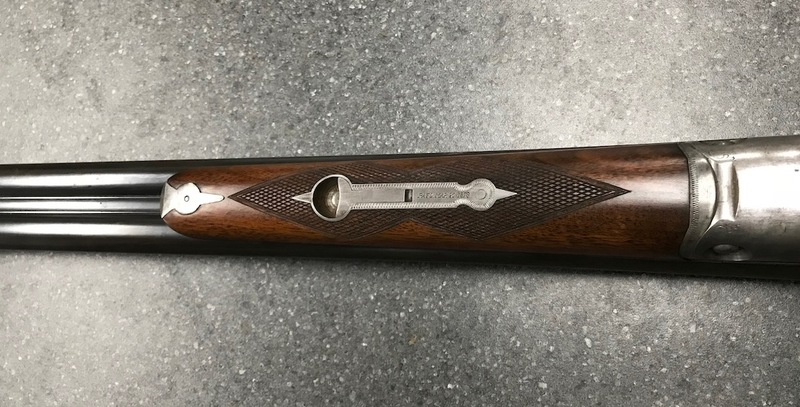 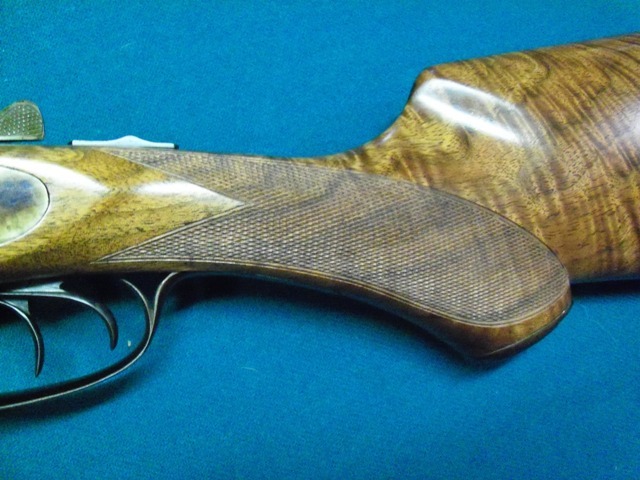 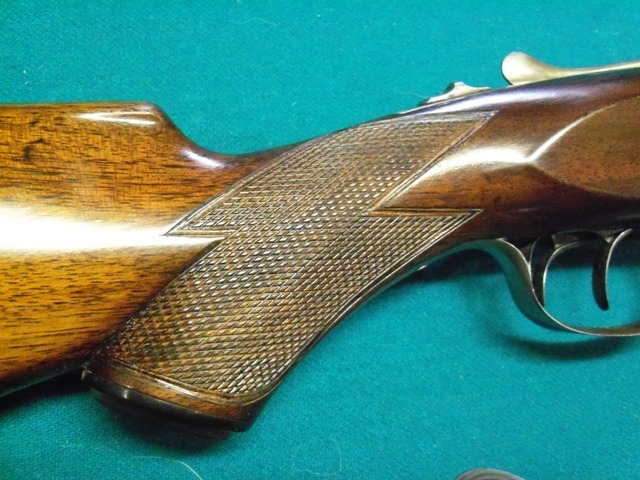 Or new checkering can be added to a new or old stock. 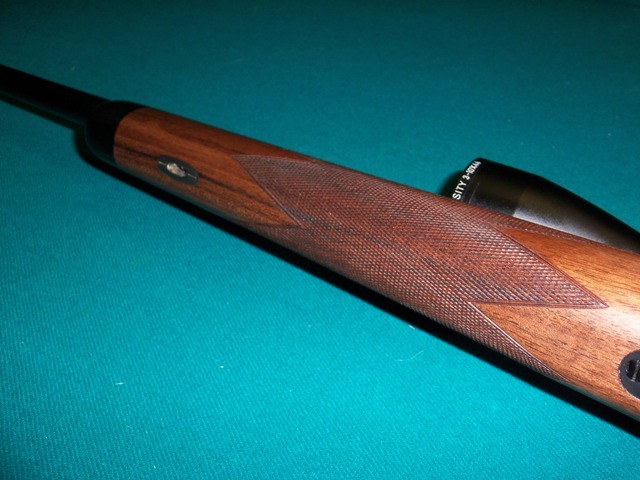 Checkering is typically the last thing to be done to a stock. 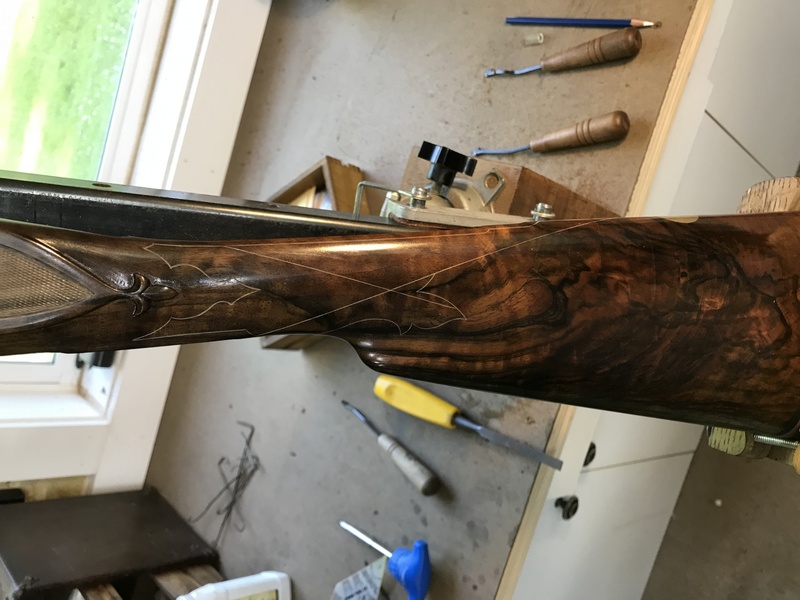 Being cut over top of the finish. 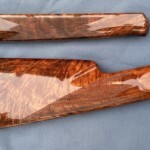 Below are some various examples of checkering. 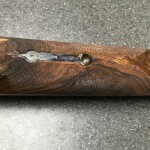 Low Wall Checkering. 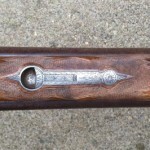 24 lpi. 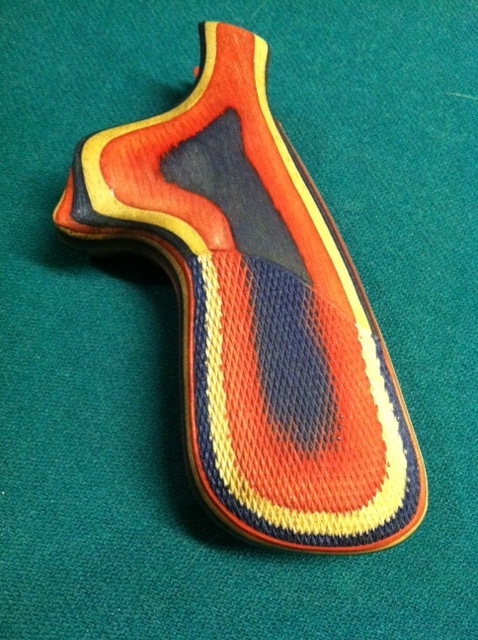 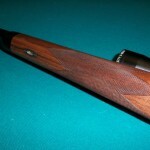 Checkered Grip of a Parker Lifter. 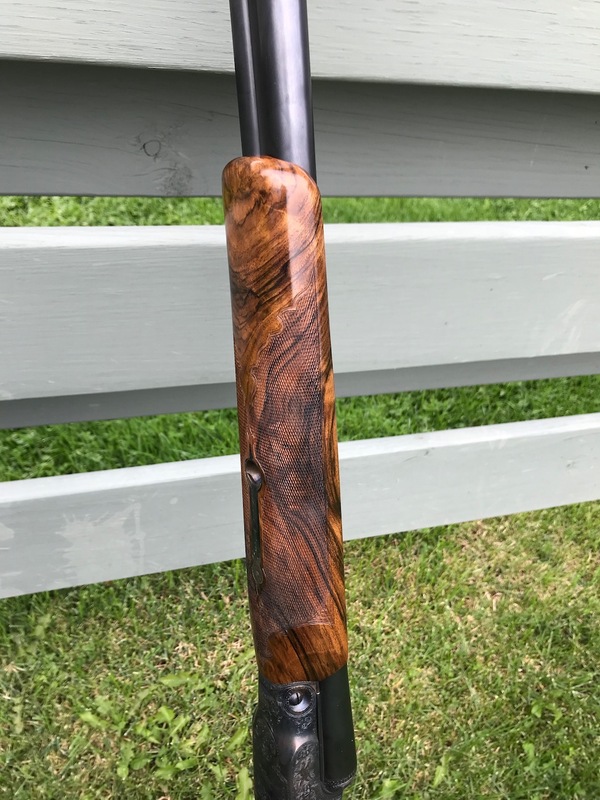 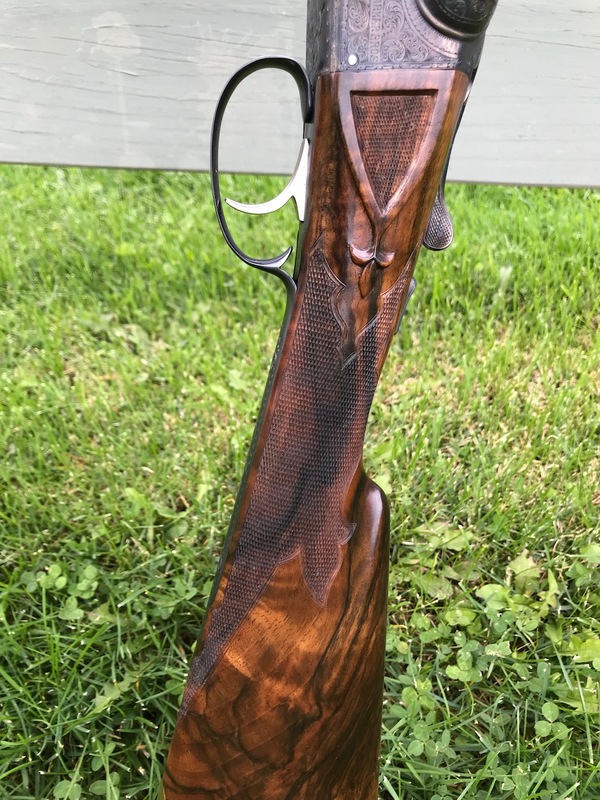 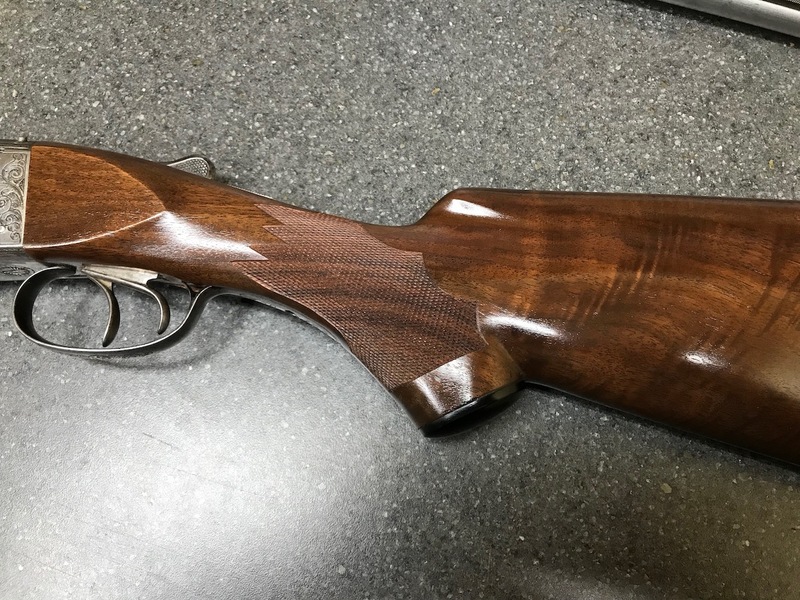 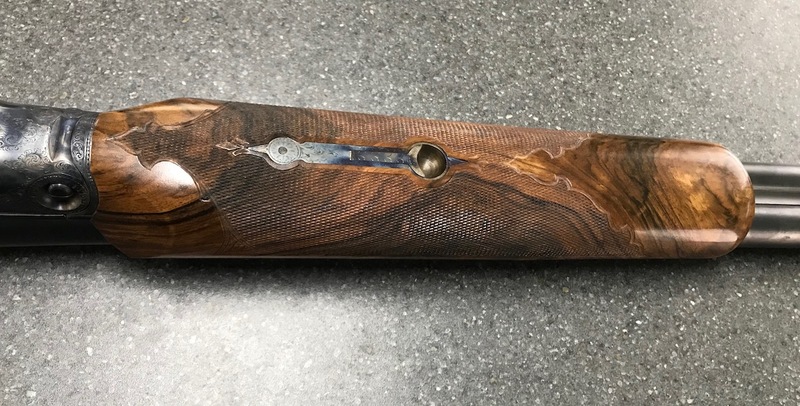 New Checkering on a Custom H&R Slug Gun. 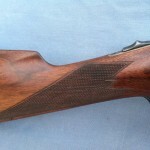 Recut checkering on an Ithaca Lewis. 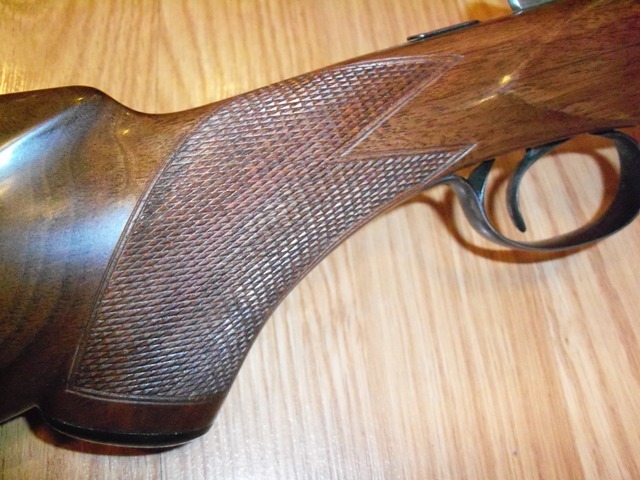 Recut checkering on a Lefever A Grade. 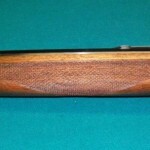 New Checkering on a Custom Stocked Lefever. 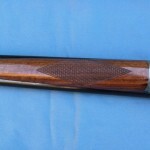 New Checkering on the Wrist of a Lefever A grade. 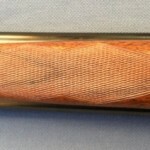 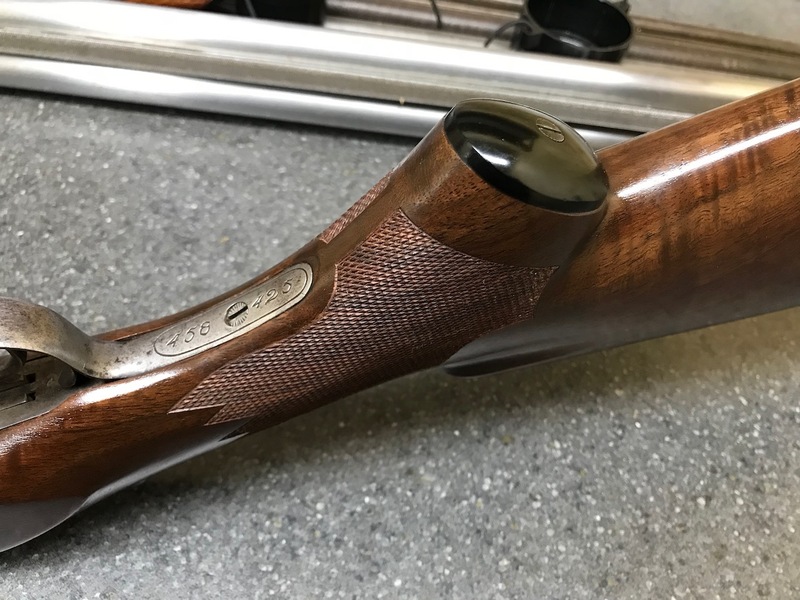 New Checkering on a forend. 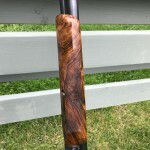 Rossi Puma M92. 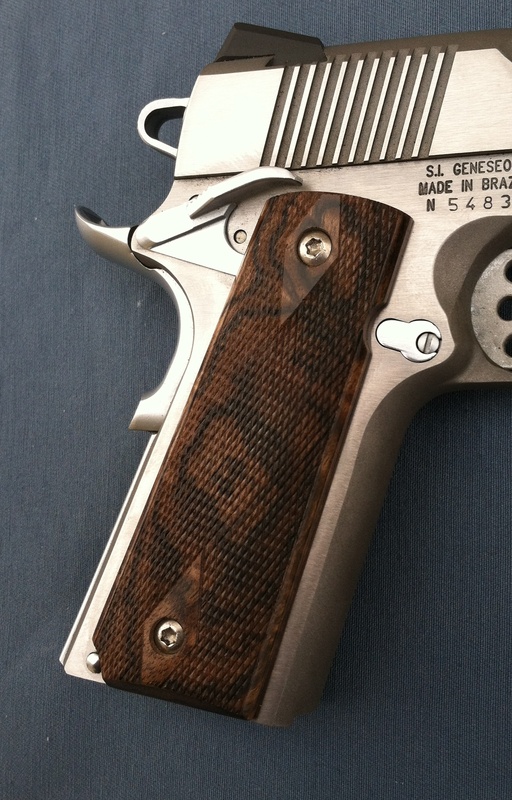 New Checkering on Wrist. 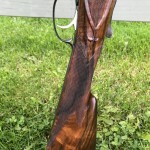 Rossi Puma M92. 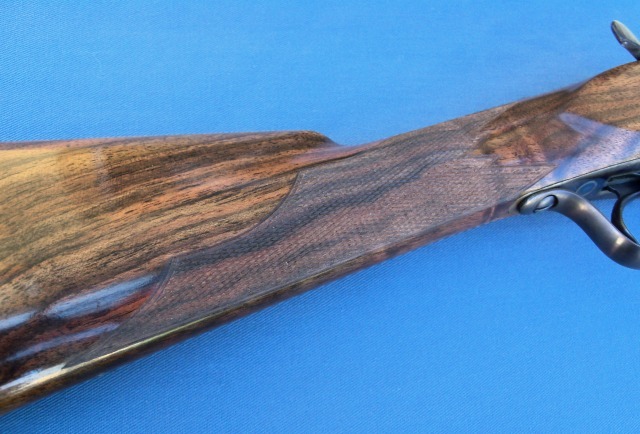 New Checkering on forend. 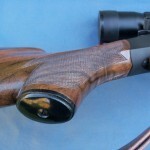 Checkering on Wrist of Miller Target Rifle. 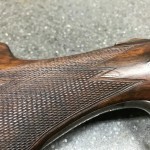 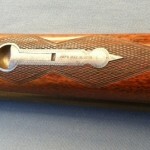 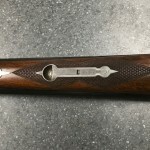 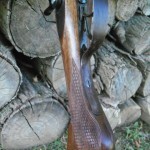 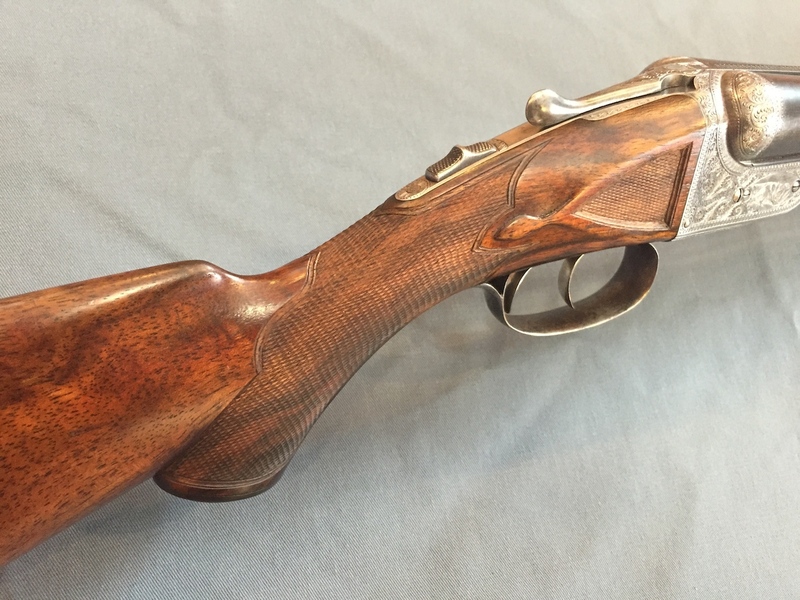 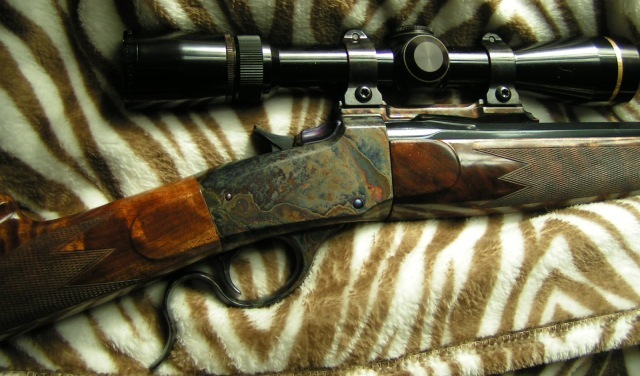 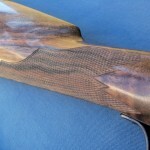 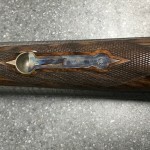 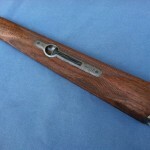 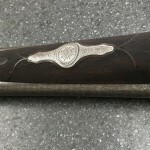 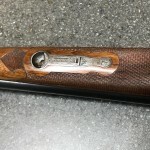 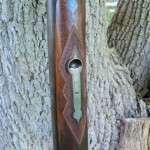 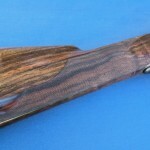 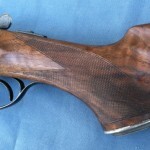 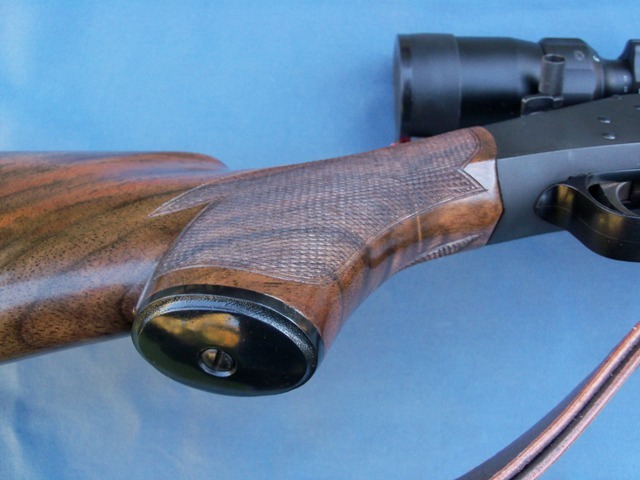 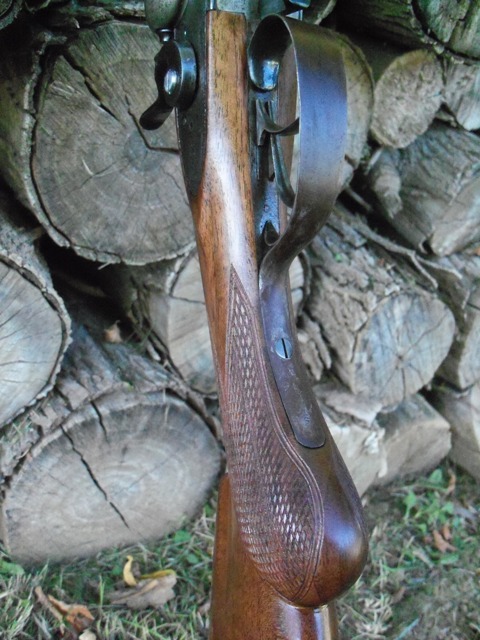 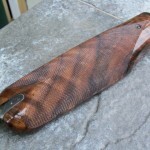 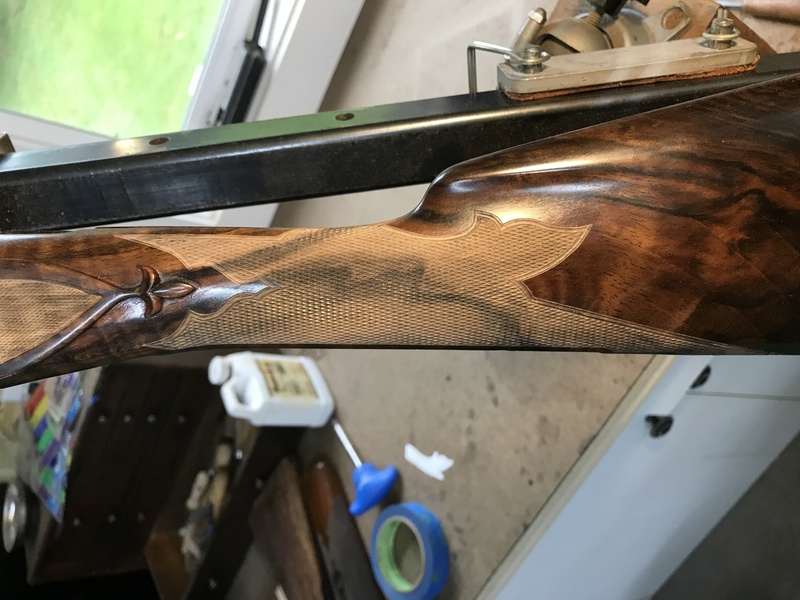 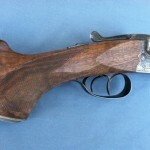 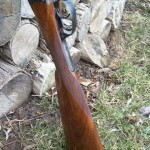 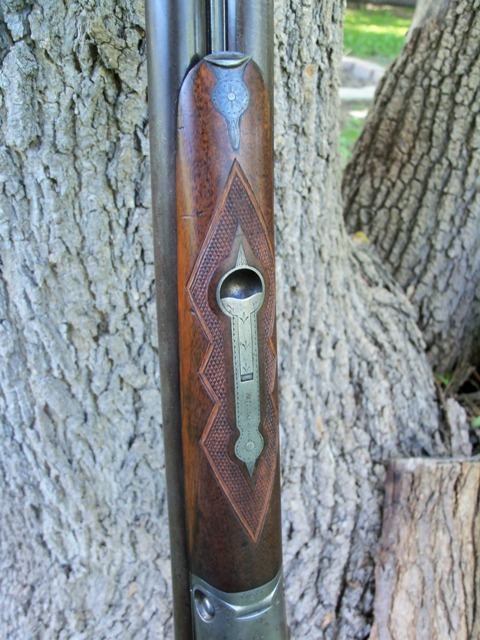 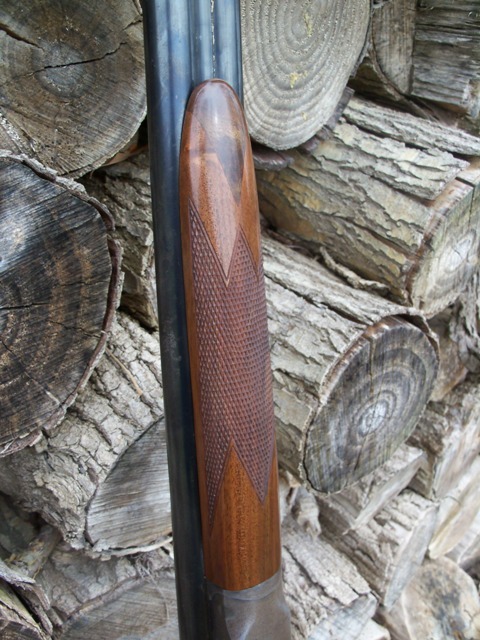 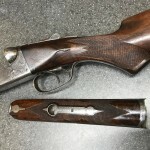 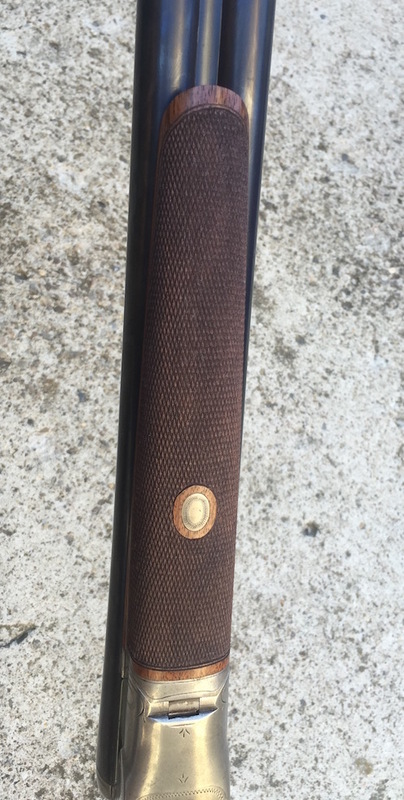 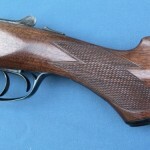 Checkering on the forend of Miller Traget Rifle. 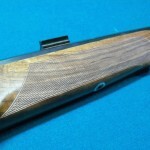 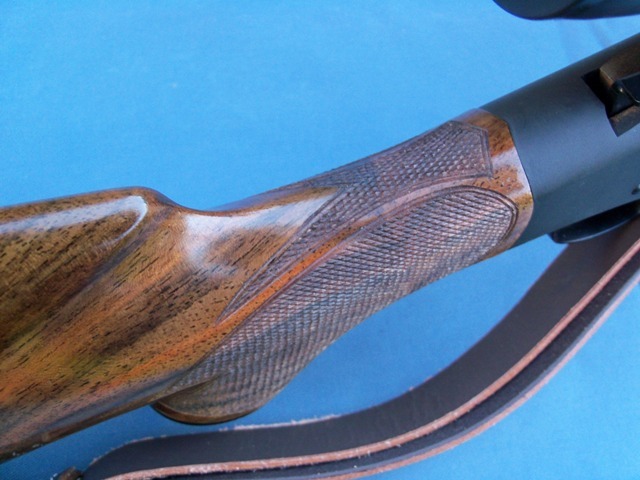 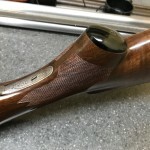 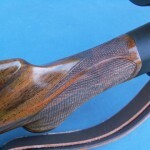 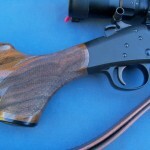 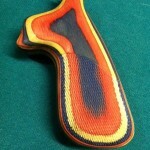 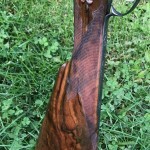 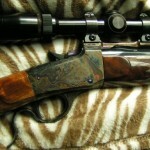 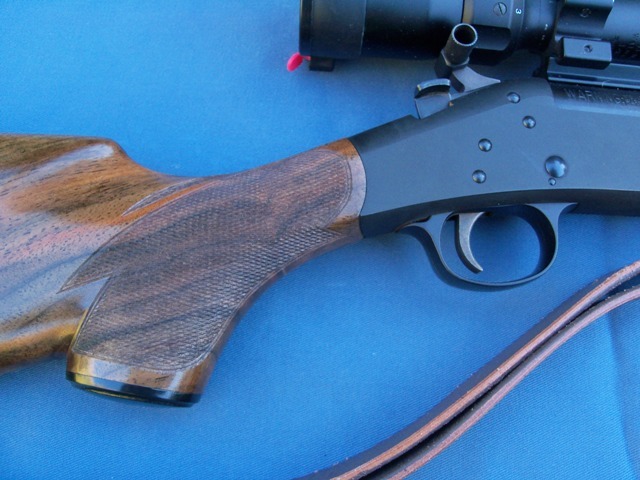 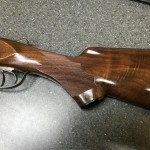 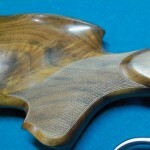 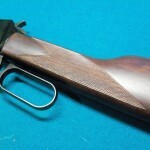 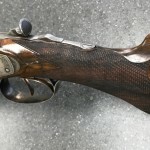 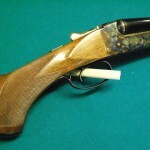 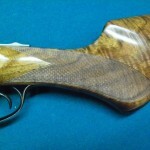 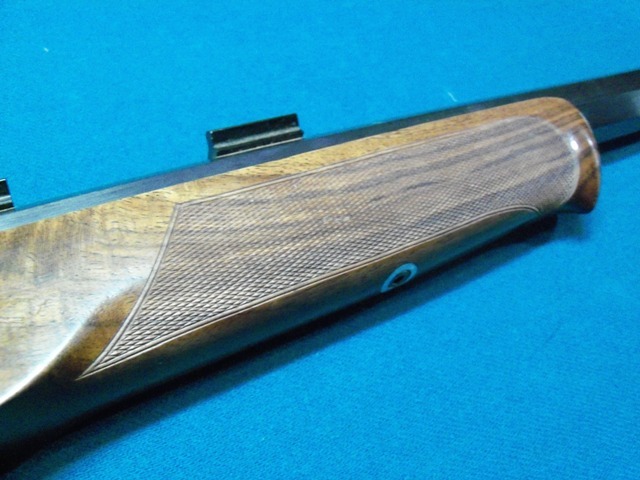 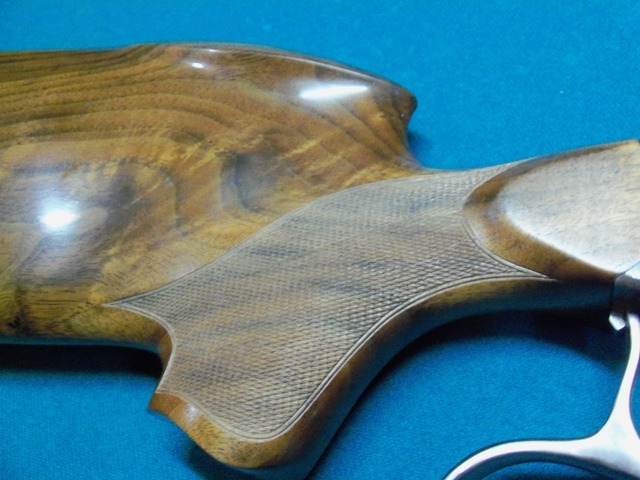 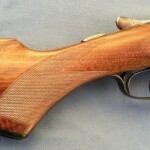 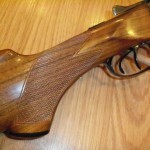 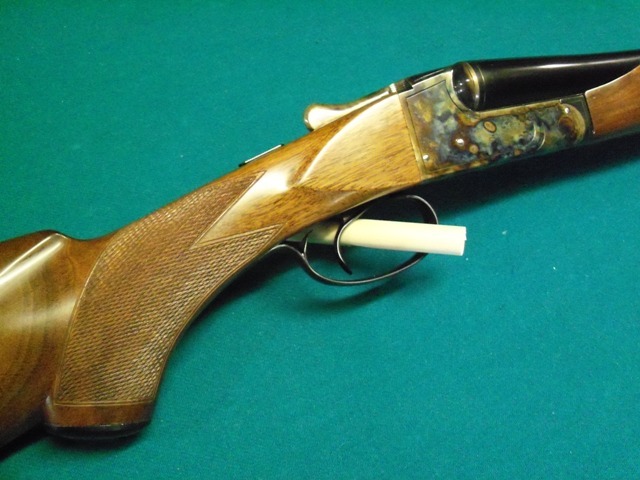 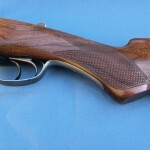 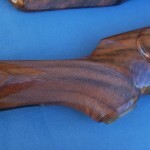 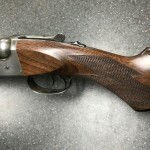 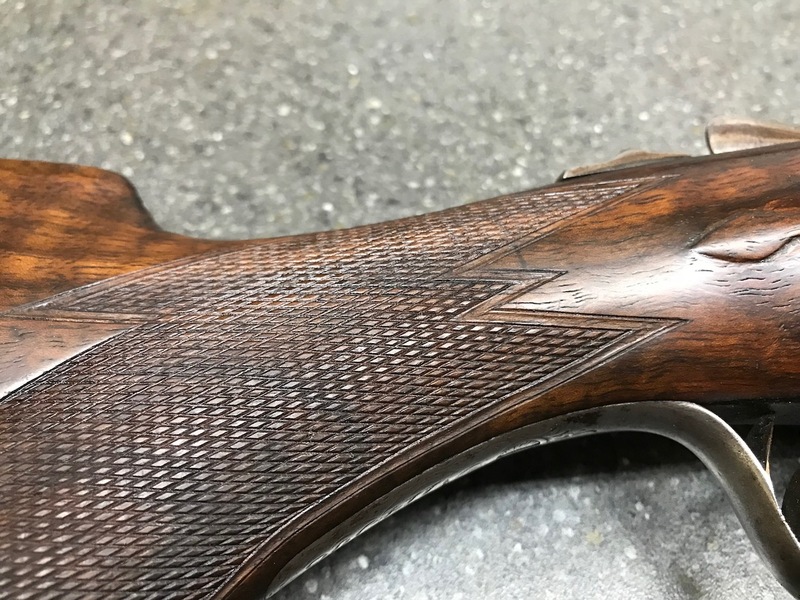 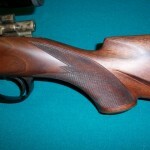 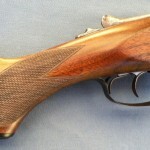 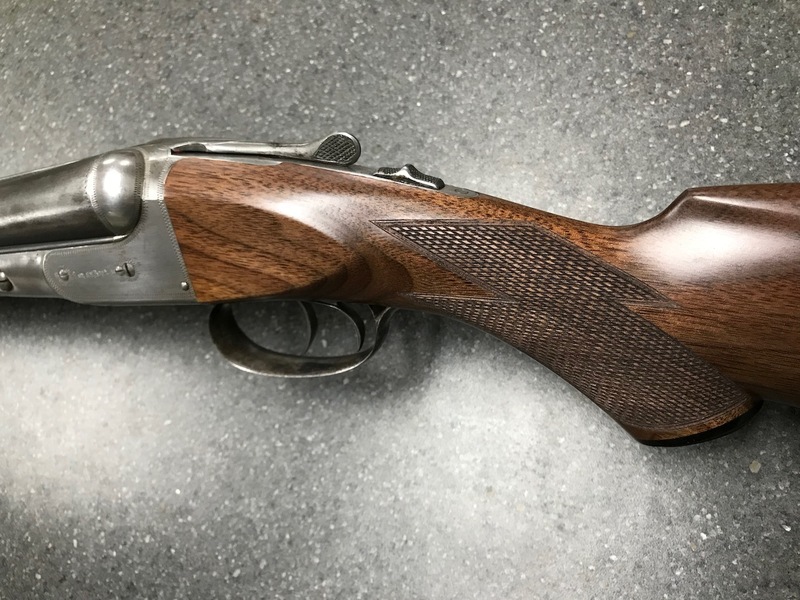 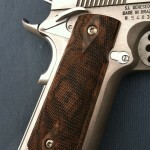 New Checkering on a laminate pistol grip. 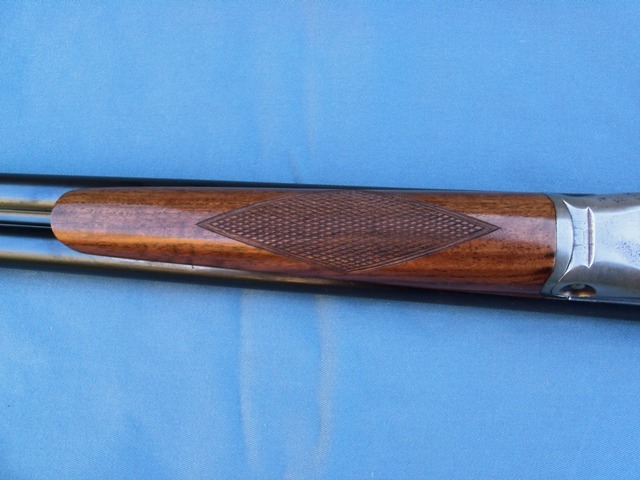 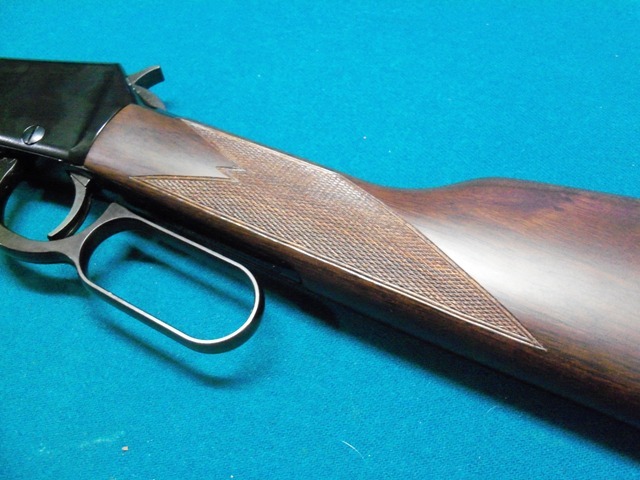 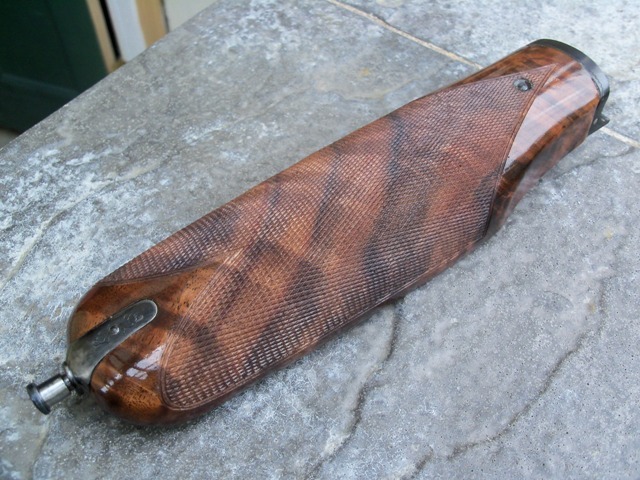 Checkering recut on Parker GH forend.